Merrick Garland’s new Ben & Jerry’s ice cream flavors revealed. The winners of our Merrick Garland ice cream flavor contest. Photo illustration by Slate. Photos by lnsdes/Thinkstock, Richard Ward/Thinkstock, Chip Somodevilla/Getty Images, and screenshot via Walmart. 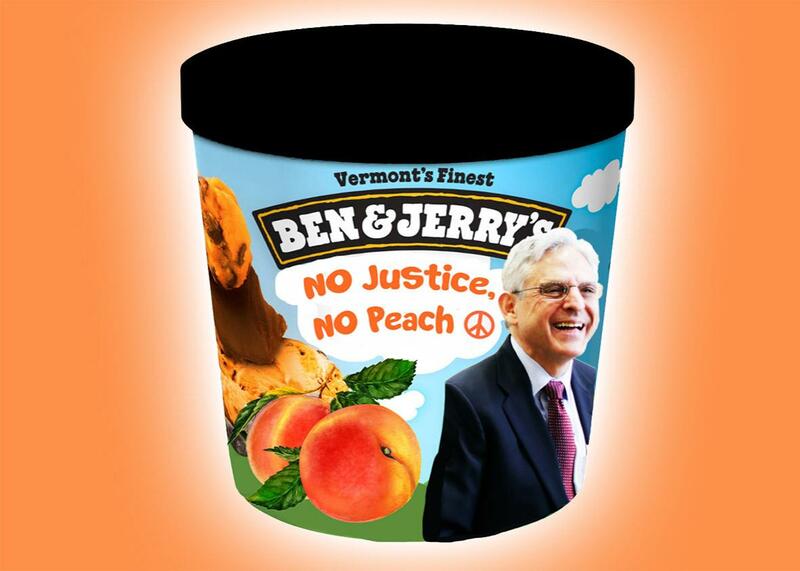 This week, Merrick Garland—who has been waiting for a hearing and a vote in the Senate Judiciary Committee for a record-busting 169 days—briefly had his name in the news not for being an outstanding jurist, or the world’s most patient human, but because Slate wants to commemorate his ongoing plight by naming a Ben & Jerry’s ice cream flavor in his honor. Slate readers, as ever, responded to this call to action with inspired exuberance, furnishing us with more than 1,000 proposed responses. Our celebrity judge, Ben & Jerry’s co-founder Ben Cohen, couldn’t settle on a single winner. His four top picks, listed in no particular order, are below. To all of you who helped us take this one fudgy step toward the betterment of our federal judicial efficiency, we thank you.